Emails & newsletters are a great way of keeping in touch with your clients and customers, but also any future customers. 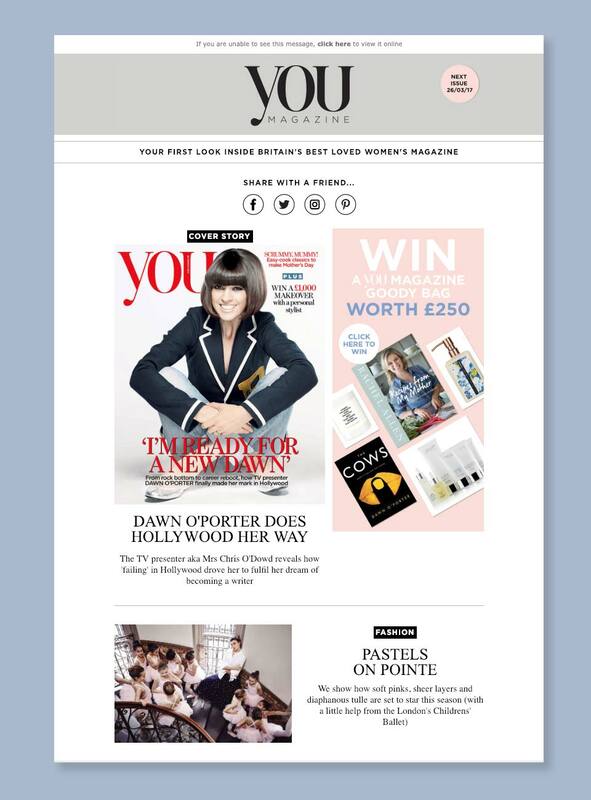 YOU Magazine needed a new email template for their newsletters that was responsive, so would work across all devices and email providers. They wanted something simple and stylish to match their brand. The below was devised and built for them. It was also tested to check it would display correctly on the variety of email providers that are available. Please take a look at the email using the link below.